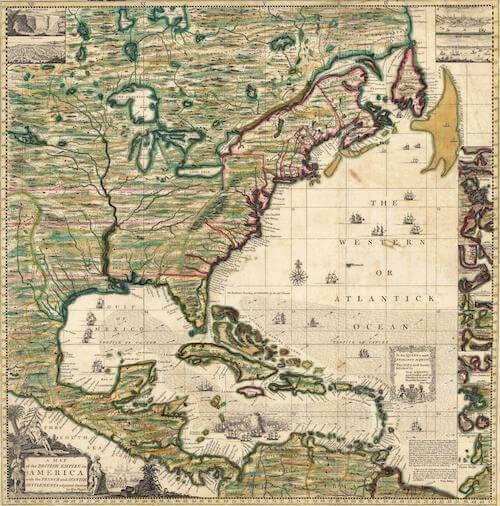 William Lewis was pirate of the Post Spanish Succession Period that operated out of the pirate haven at Nassau. He was an accomplished pirate and had a long career. He was one of the few pirates who spoke fluent English, French, Spanish and even some of the local native languages, something very helpful in the multicultural world of the Golden Age of Piracy. Lewis got his start under a Captain Bannister however, something happened between them and he was suspended from the mizzen like a flag. He managed to escape the incident and was back pirating later. Next he attacked and captured a 24-gun French warship along with its companion schooner. He was known to have been associated with the Flying Gang and very respected and famous among the pirate social structure in Nassau. While out pirating one day Lewis was captured by the Spanish and taken to the city of Havana on the island of Cuba to be hung for his crimes. Lewis managed to steal a canoe and escape. Using the canoe Lewis and some of the escaped stole a piragua. With the piragua they captured a sloop and with the sloop they continually captured larger and larger ships. Soon Lewis found himself in command of a British man-o-war and fifty pirates on his crew. He renamed the man-o-war the Morning Star and began to raid ships all across the West Indies and the coast of British North America. 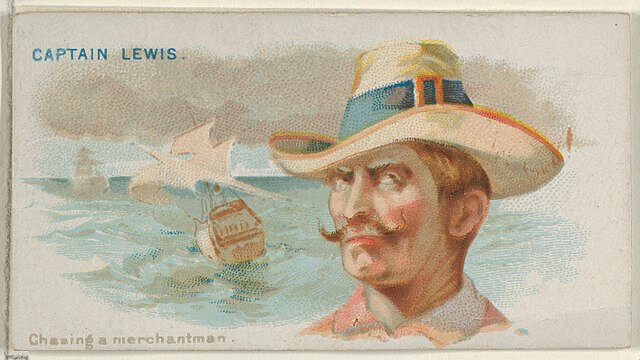 Lewis would continue pirating until 1727 when he encountered a large merchant ship off the coast of the Carolinas. Lewis approached the merchant ship and raised the Jolly Roger. The merchant ship at first tried to outrun the Morning Star but the massive man-o-war was as fast as it was strong. As the ships closed in on each other a naval battle ensued and the two ships began firing cannonballs at each other. The merchant ship struck a few lucky shots and managed to take out the fore and main masts of Lewis' massive flagship. "Good Devil take this till I come!" Weather a stroke of luck or fate the Morning Star caught up to the merchant ship and the crew managed to capture it. The merchant ship was loaded with goods and proved to be more valuable than the pirates had even imagined. However, pirates and sailors in general were a very superstitious bunch in the Age of Sail. They thought the capture of the prize was too good to be true and that Lewis had made a deal with the Devil in order to secure its capture. They viewed this as a bad omen and thought their lives were in danger. The crew elected to draw straws behind Lewis' back and plotted his assassination. One of the crew members drew the shortest straw and he went into the cabin of the sleeping captain and killed him with a single shot. The crew eventually kept the prize and that ended the career of one William Lewis.